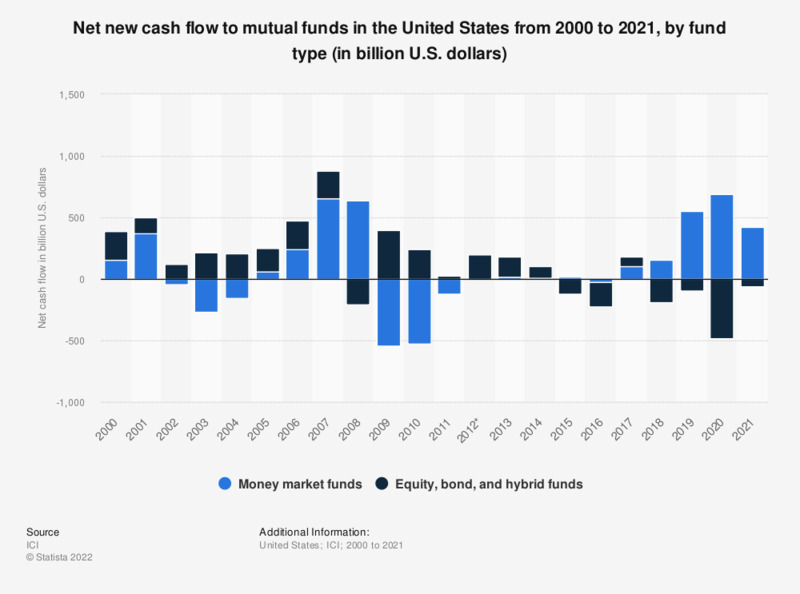 The statistic presents the value of net new cash flow to mutual funds in the United States from 2000 to 2017, by fund type. The net cash flow figure, which reflects the investor demand for mutual funds, is calculated as new cash inflow less cash outflow. In 2017, cash inflow to money market funds amounted to 107 billion U.S. dollars. The source does not provide the figure for money market funds in 2012 and provides the following information: "In 2012, investors withdrew less than 500 U.S. million dollars from money markets."